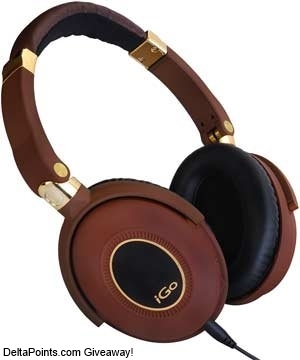 SWAG Saturday: iGo Noise Canceling Headphones & make some noise (what is the “last straw”)! Time to make some noise. Delta is making so much money that they are even paying shareholders a dividend! Impressive. Much of this has come from staggering fees and cuts to elite program perks (unless you are a high MQD Delta360 member that is). What change would be “too much”? The reason I ask is that simply all the changes so far have not impacted the bottom line in fact quite the opposite. Oh sure, I know, the MQDs have not started yet and will not really have a HUGE impact until 2015. At that point a bunch of medallions find they are dropping by 1 or more levels and the fact that some may have MQMs just vanish will make them bolt for the doors and not fly our Delta again and I think could truly impact the Delta bottom line. But for revenue, I just don’t see this impacting 2014 very much until maybe late in the year (not that I am in any way suggesting you buy DAL or any other stock). I think if they increase the spending loevels required for Medallion qualification Im going to United. if delta amex card holders move ahead of sky in the boarding. All aboard amex airlines. More award devaluations would do it for me. Reducing the opportunity for medallion upgrades in any way would send me back to AA. Raising MQM mile thresholds for status! Loss of free Econ comfort seats at checkin for silvers, and/or premium seat selection. At 6’4″ I need the extra legroom! Charging for all checked bags, regardless of your status or credit card enrollment. Award devaluations…….like some of the recent ones………would be the “killer” for me. A switch to completely revenue based redemption would do it for me. I don’t mind a revenue component for mile accumulation. But if they move to a strictly revenue based award redemption system than I’m done with delta. Eliminating the few benefits that Silvers get. The loss of a checked bag for card holders. If Delta began charging for carryons. No free bag for Delta credit card holders. Loss of waived bag fees for low tier elites and/or loss of preferred seating access (exit row availability is a deal-breaker for me). I’d say any more award devals would do it. Pretty much already has for me as all else equal, I’d rather fly United or AA. Making it even more difficult to use miles for business class tickets. if medallions had to pay checked baggage fees. If they charged for carry on bags. But probably wouldn’t give them up for good anyway as if they had the flight I preferred, I would just pay up and just use them sparingly. When they start charging you a fee to speak with a flight attendants during the flight. Eventually flight attendants official job responsibly will be solely the safety of the passengers from point a to b. If you want to interact with a flight attendant you will be assessed a service fee! There are so many possibilities it is hard to pick just one. A sure-fire “enhancement” that would make me bolt would be basing upgrade priority purely on ticket cost rather than medallion status. Since I have no elite status on Delta, and therefore use accumulated miles for domestic coach, any further award devaluations – or going from nearly-impossible to fully-impossible saver awards – would do it for me. Thank you for the giveaway. Implementing the slimline seats while reducing legroom. At 6’5, the legroom is already tight and the slimline seats instead of reclining back push your legs forward as they recline pushing my knees closer to the seat in front. They also have a hard back so that when your knees are against the back of the seat in front of you, instead of mildly discomforting they become painful. sadly, it will all even out in the short run. so a last straw keeps getting pushed ahead. For me it’s cost. I travel for work and am restricted by our booking software. My flights to MSP are double Southwest’s, so I fly in to DSM and out of MSP or something goofy like that often. I’m getting tired of it, and that’ll be what makes me switch (to Southwest of all companies…). As a few others have mentioned, being 6’4″, I would definitely stop flying Delta if legroom was diminished by even just another inch. If the alliance with KLM/France ends. That would do it. Delta has already lost my business just this week by charging me a staggering $150 change fee to fly one day earlier than originally ticketed on a SkyMiles + $10 award ticket. More of a punishment than an award from my perspective. So yes Rene, you are correct when you write, “Delta is making so much money that they are even paying shareholders a dividend! Impressive. Much of this has come from staggering fees and cuts to elite program perks.” No love lost for you Rene, keep up the good work! If Delta eliminated skymiles, or devalued them so greatly, then I definitely would not care if I used them over anyone else. If they began charging for carryon luggage. starting to look like the Argentine Peso. No more free checked bags for credit card holders. If they eliminated assigned seats and shifted to a choose whatever is available/first-board-first-serve Southwest model. devalue diamond status like they are with silver. but i think jyee is on to something as well. A breakup with AmEx and all the perks, miles, MQM’s, MQD exemption, SkyClub access, etc., etc., would turn me away. MQDs just might do it for me. Charging infants to fly and the extra items like stroller and car seat. I will switch to Southwest. Eliminating free checked bags for AMEX CC or Silver medallions would make flying my family anywhere too expensive…would have to look at other options. If using AMEX spend to meet MQD requirements were to stop, so would I.
I don’t like their rude worn out staff either so if it gets any worse I’m OUT. They make international carriers look so much better. I want to be proud of our American carriers, here ye here ye! Taking away a few precious perks like skyclub,(from my reserve card giant fee), bag fees and charging for a diet coke –hello Allegiant Air!! If Skymiles accumulation gets pegged completely to MQDs. If they charged an additional fee for using the lie flat option in first/business class. For me the deal breaker would be loss of free bags. Inability to use points to book awards for another person! Further award chart devaluation and switching to a revenue program. If they would not allow spend on Delta Amex in place of the MQD requirements to reach medallion levels. If the unlimiated upgrade program was removed for US travel. As a DM this is a huge benefit. Reducing Skymiles mileage redemmptions even more. Complete revenue based redemption would do it. Though I’m pretty close to changing to AS or AA right now. If delta started charging fees for carry on’s – that would be hard to take. If I lost medallion status I would stop flying delta. The only short term change that would cause that- if they decide to get rid of the Amex spending exemption from MQDs. If they begin charging for carry-ons, I will be GONE! I just gained Diamond status this month and one of the benefits I was looking forward to is gifting Gold Madallion status to my wife. If they take that away, I’d switch to AA. Eliminating the numerous benefits of the Delta Amex cards. Doing a devaluation like Hilton did. Any more Skypesos devaluation would definitely do it for me. 1 mile = 1 penny award redemption. Revenue-based award redemption or lower EQM for lower fare classes. Any further award chart devaluation. 1. Reduce bonus miles percentage for Medallions. 2. This is a SkyTeam thing, but eliminate international lounge access for Gold Level. Increased the MQMs and made in flight purchases mandatory to achieve status. If they took away the waiver for MQD’s for the Delta Credit Card with 25K spending. More devaluations of skymiles and award finding games! I am nearly there. The amount of low mileage award seats is discouraging. If Delta goes the way of Sprint et.al., that won’t fly with me! Not allowing $25K in AMEX spend qualify for meeting MQDs. It may be the places, or the times I have wanted to fly, but it seems it is more difficult to get upgrades to biz with miles. If they make it any more difficult I would consider another airline. If Delta shifted to a tiered mqm program based on fare, ie we have to buy full fare tickets to get full mqm when flying economy and LUT fares would give 50% or 25% of the miles flown as mqm. My view is that I will always buy the cheapest Delta ticket going from A to B and if I have to pay extra to get full miles then I am actually buying the miles and it is no longer an awards program. If they were to start charging for carry on items, I would stop flying with them. I already check all possible flights before I book a ticket. I’m fed up with delta and their bogus award calendar and I’m extremely unhappy that I can’t hold an award itinerary for 24 hours anymore. I’m waiting to see how mqd’s are going to affect my travel even though I spend over $100000 a year on my Amex cards. I’m feeling less and less important to delta with each passing year. If Delta eliminated or increased the $25K annual AMEX spend to qualify for MQD, I’m back to AA. Taking away lifetime Medallion status for MM. In addition those of us who have flown DL for along time we have memories of all the additional devaluations that they have done over the years. It hit their bottom line back then! Delta is making it real hard to redeem any decent award as well as to reach medallion status. any further devaluation in any of these categories would be the deal breaker for me. If Delta devalued domestic skymiles flights I would stop flying with them. Any further changes making it harder to gain Medallion status qualification OR any further reduction in Medallion benefits. From what I can see, next year’s added MQD levels will not affect me that much. 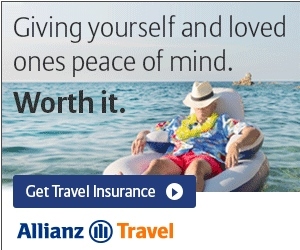 If we see the bar raised any higher, I’ll have to change airlines. Any further devaluation of the SkyMile award chart, along with the ability to use them. If they started charging for everything that is now free. Loss of free bags for sure! Any more changes to the way that miles and MQM are earned on partner airlines. There was more than enough of that this year with the reduction in the number of MQM earned on partners like Korean Air. I do a lot of travel in Asia and it is often more convenient for me to connect at Incheon than go all the way back to Narita for actual Delta metal. If they raised the amount of miles required to reach medallion status.